We are really excited about this feature. Jarred Cramer is the founder of Kaos Producktions Studios and an overall hardworking, nice guy. Everytime I see him, he has a smile on his face and he is willing to chat, share a bit of banter and a few stories. So this time, we figured you could meet him, though not in person, but still, learn more about this awesome person. Please tell us who you are and where you’re from. How did you find your way in your career? What has been your most memorable moment where you felt that you are in the right place for your career? What’s your highlight of your day for you? What is a day in your office like for you? What do you enjoy most about your journey as a creative professional so far? What would you say is a vital skill that every artists should have in this industry? Have you encountered a severe drop in your career that made you feel you are going to give up and how did you overcome that obstacle? Who is your biggest inspiration in your industry? Beer, wine, coffee, or tea? What has been the highlight of your career for you, up to now? How was the experience of Comic Con Africa for you? What were your best memories from the event? Do you have any words of wisdom for other artists, looking to ehibit their work at events like this? You’re the author of Juvies and Super Dud, please tell us about these two comics and what they’re about. What has been the biggest success for you as an illustrator? What would you say has been the biggest breakthrough moment for you, where you realised you are doing what you want to do? If you could give a piece of valuable advice to aspiring artists and students towards landing their first major job – what would you say to them? We want to stalk you online! Hi, I’m Jarred Cramer. Founder of KAOS PRODUKTION STUDIOS, a virtual illustration, comic and design company. I am originally from Kwa-Zulu Natal. My family and I moved to Cape Town in 1990. I have been drawing since as long as I can remember. And it’s always been a dream of mine. It was FanCon 2016. I had finished drawing a caricature of a boy who has been coming round to my table for the past couple of months to be drawn. As they were leaving his father turns to me and says: “Thank you for been an inspiration to my son.” That comment was worth more than I made that year. Getting out a fresh piece of paper and having the smell of a freshly sharpened pencil fill my nostrils. It all depends on my day job. 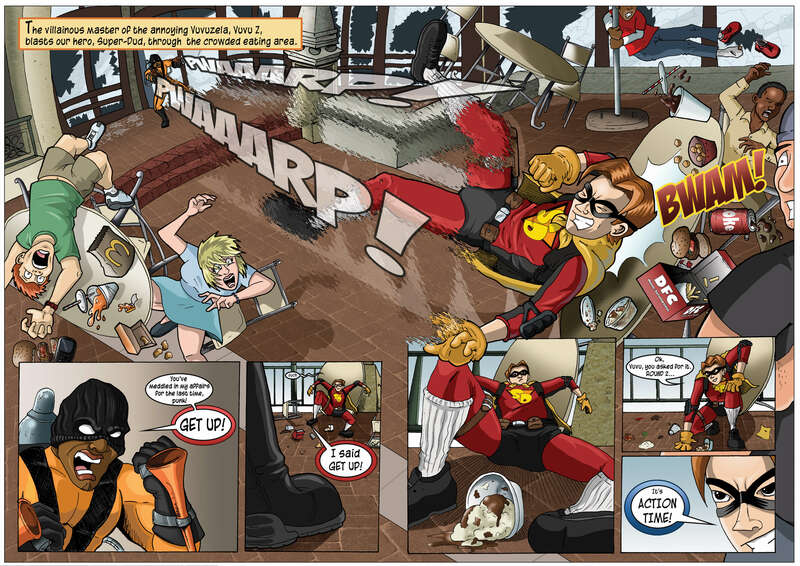 By day I’m a warehouse supervisor and by…well day as well I’m an illustrator, comic book creator. I work alone in the warehouse and it’s not usually very busy so I get a lot of time to do my own work. I usually start off the day with a cup of coffee, some rusks or biscuits for breakfast. Watch a few Youtube videos then get down to what needs to be done for the day. Seeing the final product printed/drawn and the smile on the client/customer’s face. Patience. Hard work and determination. Nothing comes easy in life. Just remember if you want to achieve your dream you need to reach! And smile. Life’s too short. I’ve had moments where I question why I do this. But then I remember that it’s not only just for others out there that I do it for. It’s also for me. I enjoy what I do. Even if I’m not as popular as some other local comic book creators…yet. LOL! Stan Lee, Jack Kirby, Joe Madureira, Jim Lee, So so many guys in the comic book industry. Coffee! But if it’s alcoholic then Hunters Dry! 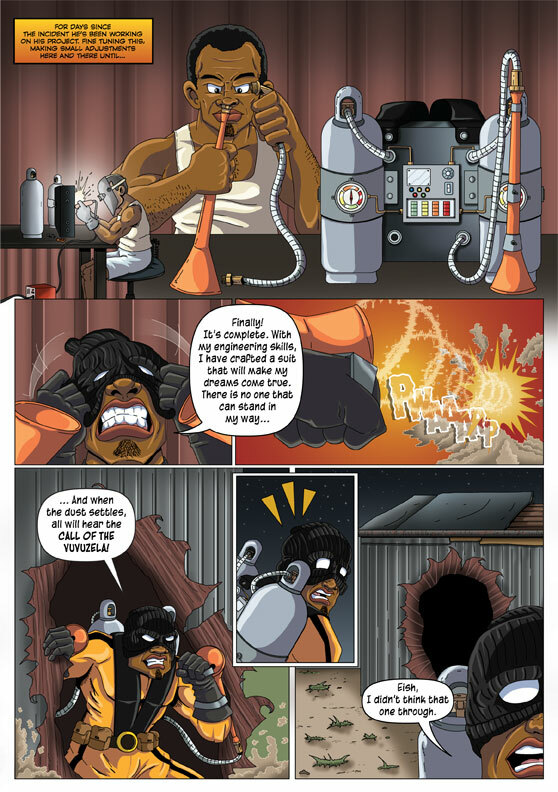 Been accepted to be part of the Artist Alley at COMIC CON AFRICA! It was great, Totally mind blowing that all 3 days were sold out. But with every con you had the same moments with people attending, looking at your stuff and saying they making the rounds. But it was all good. Seeing the awesome cosplayers, all the local talent that we have to offer. Practice practice practice your art. That’s the main advice I can give. Dont sell yourself sort. dont think you are not good enough. Always do your best. You never know. The worst that could happen is not be accepted. Dont take that as a defeat, Take it as a challenge. to better yourself, to improve on what you have already. 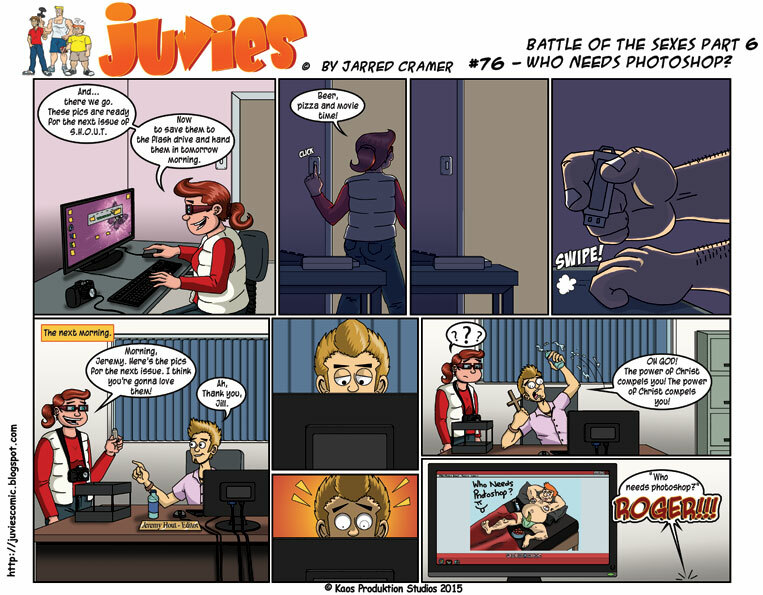 JUVIES – Based off myself and my 2 best friends, Juvies is about 3 childhood friends who are now in college. They get up to all sorts of misconduct and debauchery! Scott – The art student and relatively level headed guy of the group. Roger – Don’t let his glazed over look fool you. He’s quite an intelligent computer whizz. Never seen without a beer in his hand. Thomas “TJ” James Campbell – The ladies man and gym freak. SUPER-DUD – Parker Peters is a shy, awkward 15 year old who oneday comes between the bullet of a mugger and the girl he likes. Believing he has super-powers, he dons his red pyjamas and a yellow cape and becomes SUPER-DUD, the most inept superhero in Cape Town. 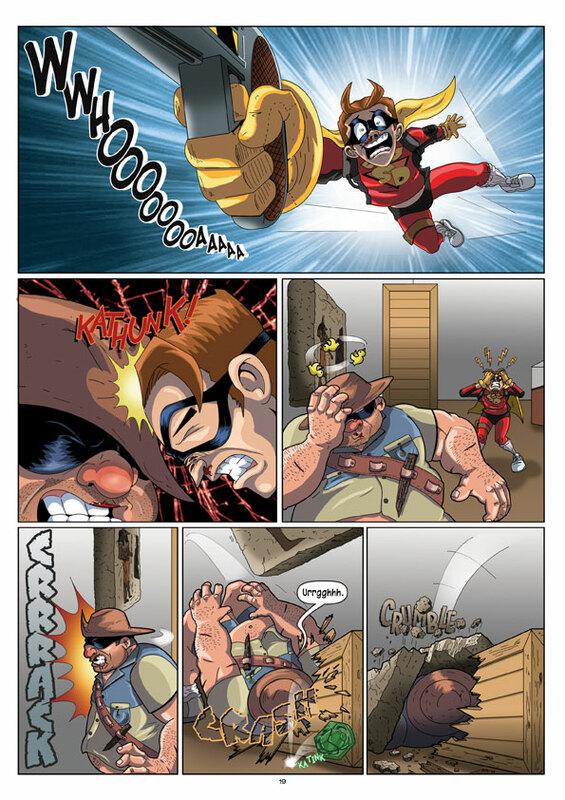 Having 4 issues of SUPER-DUD self published with issue #1 already on it’s second print. Don’t undersell yourself. If you have the talent and the creds, make sure you know your worth. At the end of the day, they are asking YOU for YOUR services. 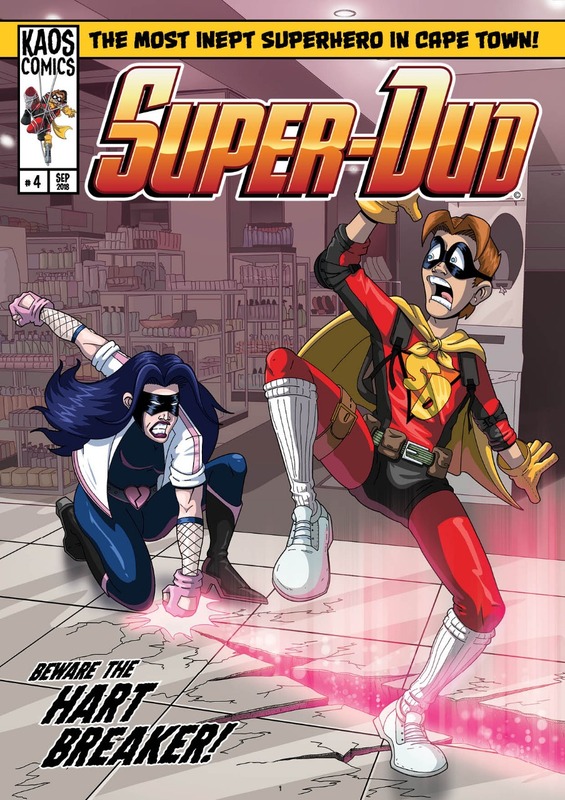 Super-Dud our ongoing comic book series!